Its so sad that we didn't see him get that little bit older, more mature, more settled. I'm right with you on this one,what may have been. "Heath was an old soul in a young man's form, animated, kinetic, masculine, capable in all things, yet uncommonly sensitive. A loyal friend and an adoring father, his least favorite subject was himself. He was always disheveled, unconcerned with his appearance, because, like my writing partner Larry McMurtry, Heath lived in his head. He was a pure actor, much like Larry is a pure writer, in that he believed his work should speak for itself. 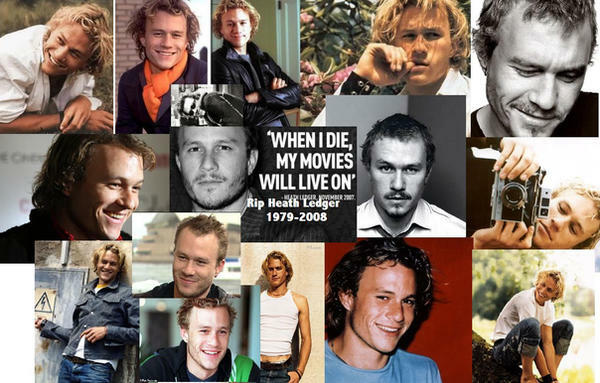 In all his endeavors, Heath was a risk taker with an insatiable curiosity: he loved surfing and skateboarding; he was an accomplished chess player; he was an imaginative photographer with an acute eye. Heath could be impatient and demanding, fidgety and exasperating, but then turn right around and be generous, endearing, painfully shy, humble. His evolution from teen heartthrob to his haunting portrayal of an emotionally straitjacketed rural gay in BROKEBACK MOUNTAIN--a performance whose tragic force will continue to touch audiences for years to come—gave us a mere taste of his potential as an actor. The great 20th century American poet Walt Whitman said it best: "Do I contradict myself? Very well then I contradict myself, I am large, I contain multitudes." Heath was like one of my children. I still miss him terribly. Heath would have liked this. This day sneaks up on me every year. Here we are again. Such a sad day.